ripplemaker gazed contentedly about the clubhouse, smiling happily. Everything was perfect - the checker-board, light-up floor; the chains of rope-lights trimming the booths; the mirror ball suspended over the dance floor - every disco-perfect detail was ready for the team to arrive for her Saturday Night Fever themed party. "... and what better way to celebrate our latest crop of HubNugget hubs?" she thought. 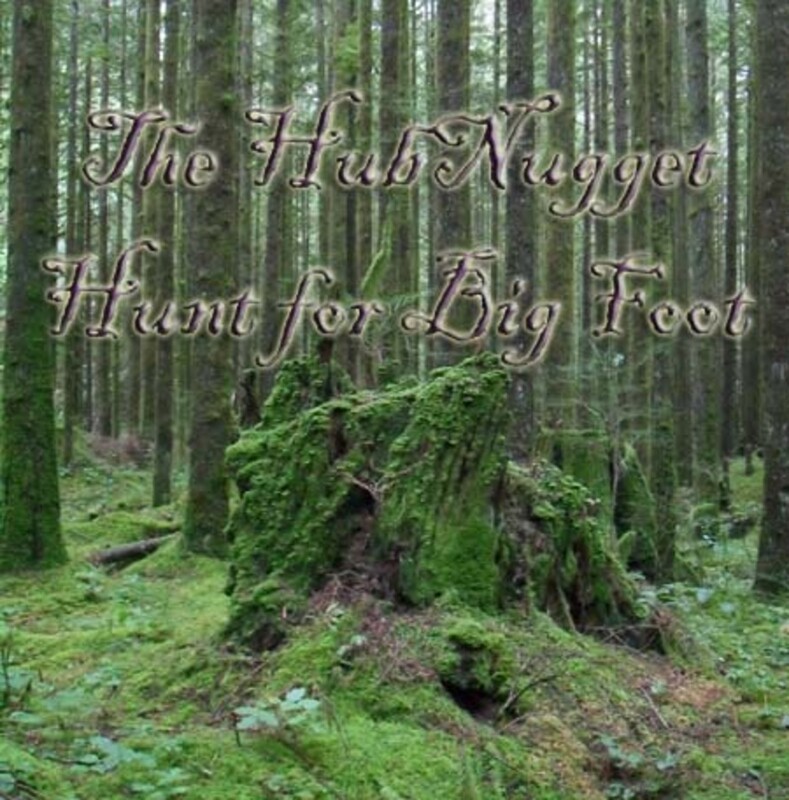 "Everyone is crazy with spring fever and this "fever" party will be just the thing to blow off some steam and get things rolling for a new season of HubNugget hunting." Just then, the door burst open to admit Jason Menayan, Maddie Ruud, and Simone Smith. "Are we too early?" they chorused. "Not at all," replied ripplemaker, flipping the switch on the mirror ball. It began to revolve, slowly at first, then more quickly, sending bright-colored shards of light coruscating across the room, like galaxies of tiny stars, weaving and dancing in time to the pulsing music. Much to everyone's delight, Maddie, Jason and Simone had prepared a wonderfully retro dance routine. Dressed in full disco-duds, they performed an energetic 70s-style dance-workout number while lip-synching to Olivia Newton-John's monster disco hit, "Physical." ripplemaker clapped her hands. "How absolutely perfect," she cried. "What a fabulous lead in to introducing the nominees in the Sports & Recreation category!" 49% Competitive Gymnastics for Young Girls: What to Expect. 11% Camping at Swallow Falls, Snowdonia. Competitive Gymnastics for Young Girls: What to Expect. This hub explains what to expect when you are deciding if your child should participate in competitive gymnastics. No sooner had the cheering stopped when Patty Inglish MS, and ladyjane1 stepped up. "We have a real treat for you," said Patty. "We've been rehearsing all week with our special guest stars, B.T.Evilpants and ProCW, former HubNuggets team members, to bring you our version of ABBA's hit from the 1970's "Super Trouper." "We even found these great ABBA look-alike disco-duds - don't we look just like them?" asked ladyjane1. "I can't think of a better way to pay tribute to all the stellar artist and writer "super troupers" on HubPages - especially the nominees in the Arts & Design category," ripplemaker replied. Enelle Lamb and RedElf were already waiting in the wings, and, as the applause for the last number died down, they quickly pushed KoffeeKlatch Gals into the middle of the floor. All three were wearing cool, 70s-style white suits with platform shoes. "But why are you wearing those cute birdie beaks?" asked ripplemaker. Striking "John Travolta" poses, all three replied, "In honor of the nominees in our next category, Pets & Animals, we proudly bring you.... "Disco Duck!" 14% From the Show Ring to the Cattle Pen. 8% Should You Get a Dog? 63 people have voted in this poll. As an apartment dweller, it's easy to feel disconnected from nature. I feed birds and stray cats and in doing so, attract creatures to my windows. I get SO much pleasure from watching and helping one creature at a time. From the Show Ring to the Cattle Pen. A non-fictional piece by Deb Hirt with some of her experiences with ravens in Maine. It also includes some general facts about them. Once everyone had read and voted in all the categories, the party really began to rock out. Disco fever swept the HubNuggets team into retro heaven, where they happily danced the rest of the night away. The team will be back on the job next week, busy searching out top examples of new-to-HubPages writers' work to nominate in that week's featured categories. In the meantime though... disco lives! Each week 18 great Hubs written by new Hubbers were nominated in the HubNuggets contest. 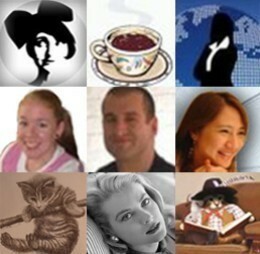 We invite the HubPages community to vote for their favorites, and the winners were featured in our newsletter. aviannovice, that is great - happy to help get you going! Thanks, RedElf, I finally feel like a writer now. Suelynn, you are most certainly welcome It's always so much fun to discover great, new writers here on HubPages. krsharp, thanks for writing such great articles - having a great bunch of Hubs from which to choose makes our work so enjoyable! Thank you for opportunity to be a part of this! Thank you to everyone who voted for me! YAY!!! There are a lot of great candidates in this group. Congrats to all the nominees and the winners! Pamela99, thanks so much for stopping by to support our new writers! always a pleasure to see you! Eliza Doole, one of the reasons I love being part of this team is finding all these awesome articles! ripplemaker, lovely you stopped by - disco on! prettydarkhorse, how lovely to see you, Maita! So glad you enjoyed the nominees. Green Lotus, I think the 70s were the "silly days" for a lot of us! Great fun to revisit them! This theme is hysterical. What it is about Travola, Saturday Night Fever and the 70's that makes me giggle? My silly days no doubt. Congrats to all the nominees!! Nice choices and good luck everyone! A lot of us, I see, was a part of the 70's era. Great nostalgia to rightfully be voted up and awesome. Go, RedElf! I'm thrilled to be a part of the nominated group! Good luck to everyone! Voted. There's some gems in there. Great hub. I loved the theme. The chosen hubs were really interesting and I enjoyed reading them. Of course, I have voted. urmilashukla23, thanks so much! 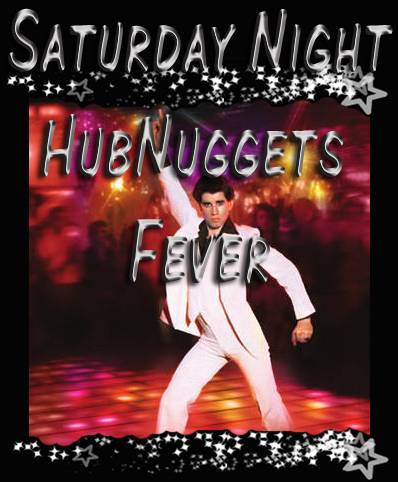 We have a lot of fun with the HubNuggets hubs! Awesome Theme. Congratulations to all the nominees. Thank you to you, Genna. Always lovely when you stop by to support our newer writers! Maddie, that's too cool - you and Travolta (sort of...) I find now it's not so much the disco in my bones, as the touch of arthritis in my knees :D Ah, well - dance on! LABrashear, so glad you like the theme - good luck to all the nominees! Love the theme! Good luck everyone! I had to share this it takes me back to my retro days...loved the hair the music the fashion, loved this hub. Rated up and shared, oh yea and I voted. Great job. Cheers. Thanks, cardisa - it's my favorite part of the job - and ABBA is still one of my favorite groups! billybuc, so glad we could add to your reading list :D Nice to see you. Love the disco party - I can still remember when...sort of. Great idea. Voted up and across the board. Congratulation to all of the wonderful nominees this week. Good luck. Great hub :) voted, shared, rated up and danced the night away! 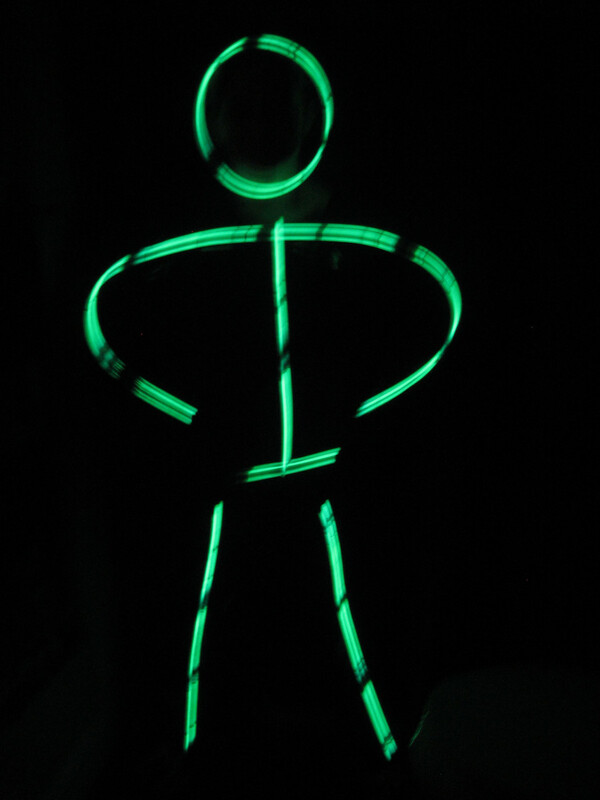 Little-known fact: I once posed as the model for a silhouette of John Travolta doing that signature move. I think I was about 10 at the time. I guess I've just got disco in my bones. Congratulations to the nominees. It was a pleasure to reading through the noms and voting. Thank you, Red, for this special hub. Very cool! Hehee, why have we not done this before!?!?! Voting for HubNuggets with a party ROCKS! Great nominees this week. I look forward to seeing who wins! Wonderful; now I have some new Hubbers to read. Thank you for this synopsis and I will now get busy on my homework. I am always amazed at how you guys always entwine the nominees into some very interesting stories. I am a sucker for 70s music, especially ABBA so I rushed over when I say that Saturday Night Fever was in full swing! Ahhh, great minds... Thanks so much for the rate-up and share, Patty. Good luck to all the nominees! By coincidence, I was just looking at 1970s fashion. Rated Up and more and shared it with a bunch of people. Congratulations to Nominees! - Ask your friends and colleagues to vote for your work on this Hub. Good luck to all of you!